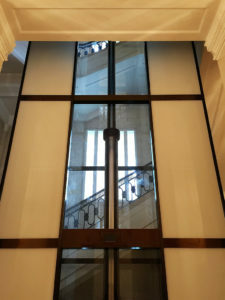 When we were asked by Lerch Bates back in January 2012 if we knew of a manufacturer who can provide a rotating circular glass lift for a very special customer we did not hesitate before answering “yes we do.”, in our opinion, GBH Design are the manufacturer and installer of the finest design and build lifts in the industry and we are very proud to be their representative in the UK. 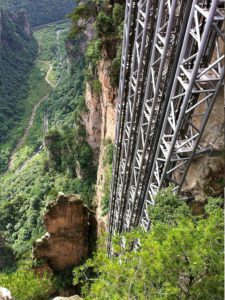 The following lift projects are just an example of some of these. 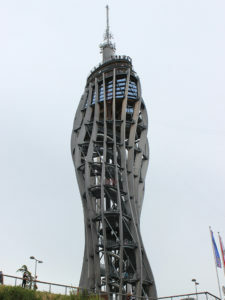 1000kg, 13 Person, free-standing circular Scenic Passenger Lift, External and open to the elements. 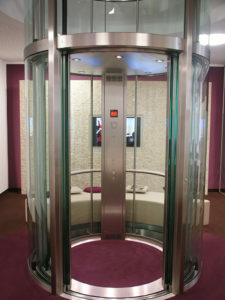 2 x 1300kg, 17 Person, square scenic passenger lifts of the highest quality in a spectral coating bronze colour finish. 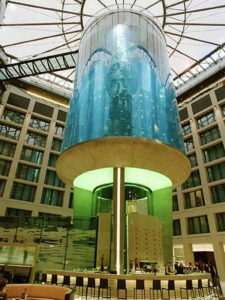 900kg, 12 Person, hydraulic circular rotating scenic lift in a mirror finish stainless steel and low iron glass finish. 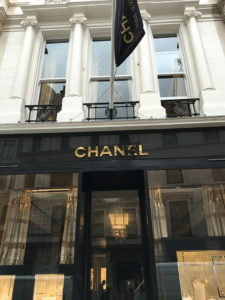 1175kg, 15 Person traction scenic lift installed in the Chanel fine jewelry store so designed that the machine, balance weight, and technical equipment is not visible. 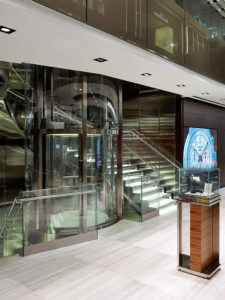 The 1125kg, 15 Person, a hydraulic circular scenic lift was designed to complement this spectacular designed London flagship store. 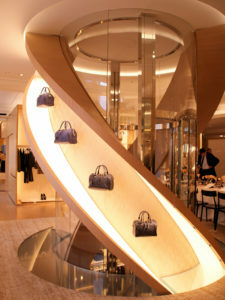 In certain circles, possibly the world’s best-known lift. The world’s highest group of free running-lifts. 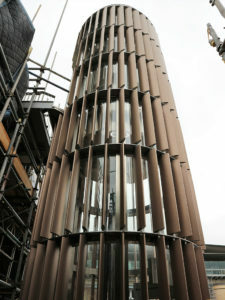 630kg, 8 Person, hydraulic circular scenic lift with all loadings supported from the roof of the building. 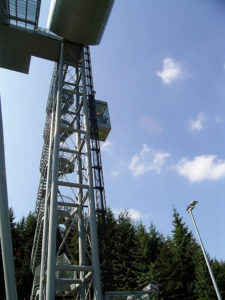 GBH’s circular scenic lift runs within the world’s highest free-standing viewing tower, the traction driven lift has a 20 person, 1500Kg rated load and travels 71m at 1,6 m/s. 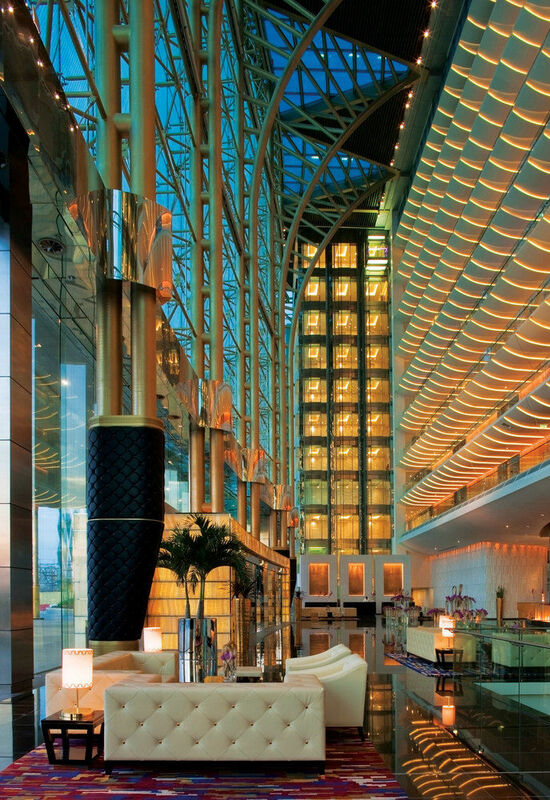 GBH have provided and installed four groups of full glass triplex passenger lifts in freestanding open-air shafts within this extraordinary hotel, the 2.7m high lift car glass walls, floor, and ceiling reflect the variable colour lighting from the handrails which contain Swarovski crystals. The under-driven doors have a clear opening of 1200mm wide x 2.65m high, the full height car operating panel is manufactured in black, back painted glass; the installations are a 2:1 traction with a 1600Kg load and travel between 35 and 50m. 1000Kg drum drive traction lift traveling 31m to Ski Jump level, lift designed to operate up to -15° centigrade.